Back in March this year I wrote a post on the 19th century rediscovery of the west gate of Roman Lindum, modern Lincoln. The Norman castle mound had buried it; and it was rediscovered when a nearby businessman sought to enlarge his own property by digging away at the mound. Out came the gatehouse, more or less complete, only to promptly collapse! It was then quickly reburied. A single etching of the gate is known, which I gave there. 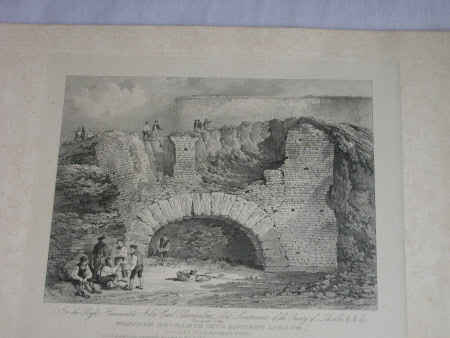 I think it may be: it shows better detail than the engraving from The Gentleman’s Magazine, the whole in a slightly less catastrophic state of collapse; possibly drawn just as they realised they’d better backfill it to avoid worse disasters! 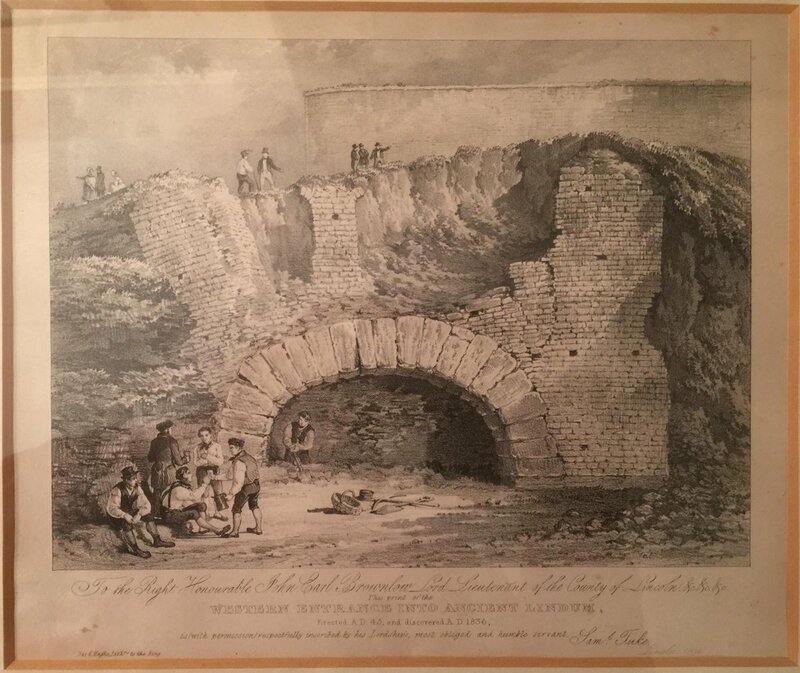 Just tracked down one at Belton House in the National Trust Collection; that would be a likely spot to find one, given it was Earl Brownlow’s house and the lithograph is inscribed to him. We owe a debt of gratitude to Mr Parker for making this known so promptly, and to the right people. This is marvellous to have. The stately homes of England retained their art collections until after the second world war, since when punitive taxes have progressively despoiled them. But who knows what is out there? Who would have thought that this existed? And how delightful that it is such an ‘action shot’, too – workers at work, or taking a break, tourists ranging about…!